Ever since we discovered that conventional dairy triggered my oldest son’s eczema flare-ups, we have tried different non-dairy milks like soy (which we don’t drink anymore), rice, almond, cashew, almond coconut, etc. Then I got a Vitamix blender and learned to make non-dairy milks through the CNE program. 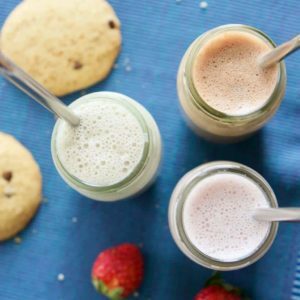 Homemade non-dairy milk trumps store-bought every time. What a game-changer. 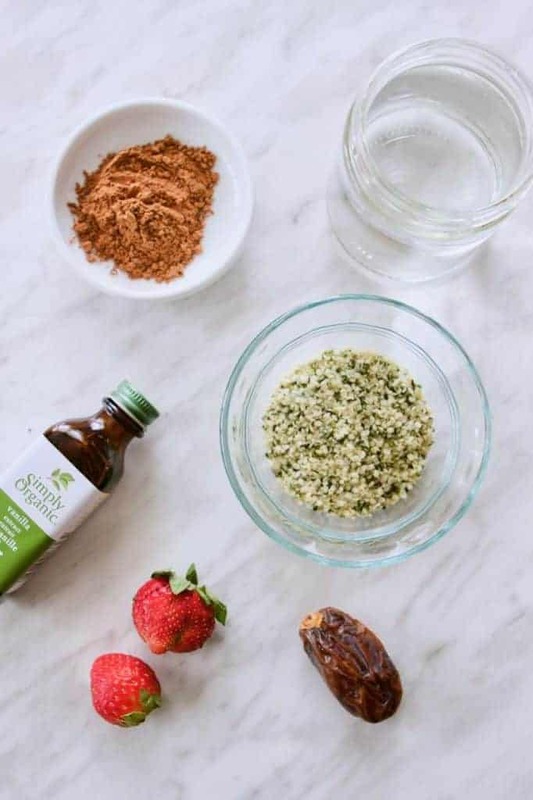 Here are 3 simple ways you can make your own homemade hemp milk. 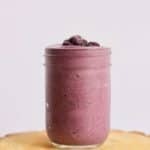 What do I need to make Homemade Hemp Milk? Hemp seeds. These are hulled hemp seeds, also known as hemp hearts. They are rich in healthy fats and protein. I love adding hemp seeds to my smoothies and salads. Water. Use filtered water. We love our Berkey water filter. Natural sweetener. 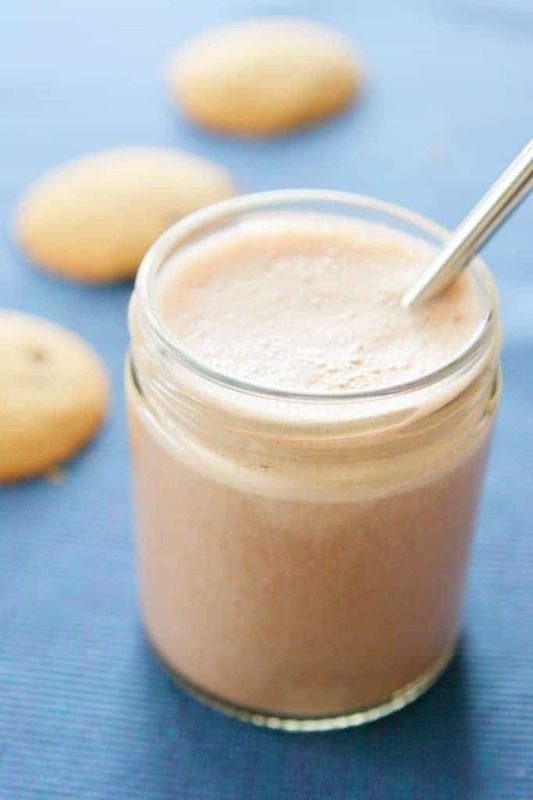 Use raw honey, maple syrup or medjool dates to sweeten your homemade hemp milk. 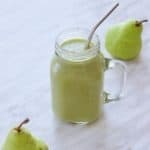 If using Medjool dates, you would need a high-speed blender (I use a Vitamix) to make the milk. Vanilla extract. I use Simply Organic vanilla extract. Raw cacao powder. Rich in antioxidants and magnesium. This is the least processed form of cacao powder. Buy fair trade as much as possible. I use the GiddyYoyo brand in Canada. Strawberries. Buy organic strawberries when available. Strawberries are usually on the EWG’s Dirty Dozen list because they are highly sprayed. 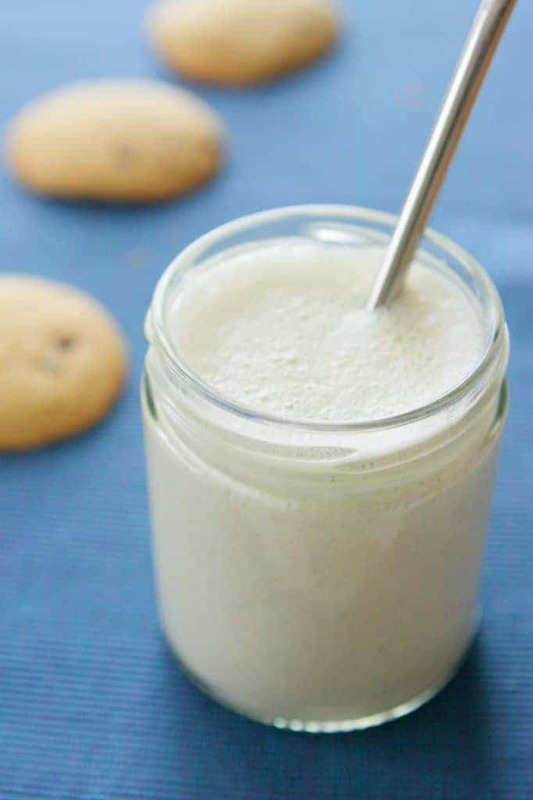 In a blender, add water (use cold water if preferred), hemp seeds, vanilla extract and your sweetener of choice. Blend on high for a few seconds until everything is well combined. 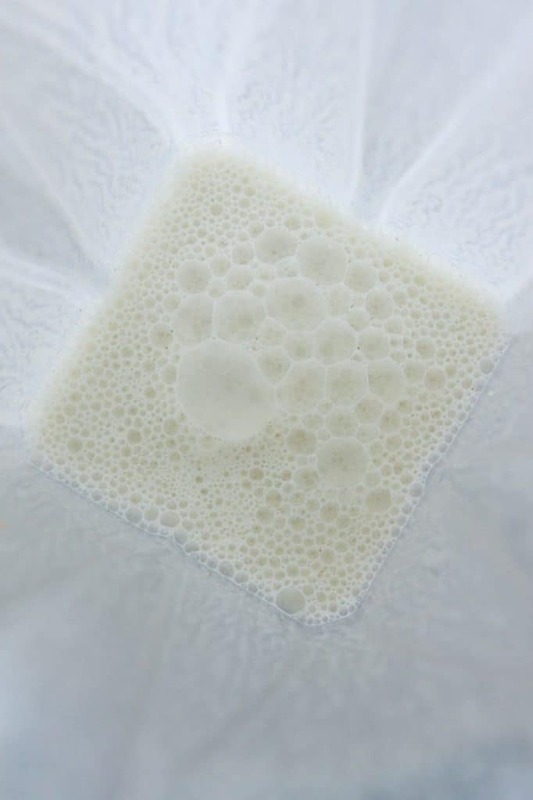 Homemade hemp milk blends up so well, there’s no need to strain out any pulp after blending. Pour into a glass and enjoy! Or refrigerate for future use. To make chocolate milk, let’s add some raw cacao powder. In a blender, add water, hemp seeds, vanilla extract, your sweetener of choice and raw cacao powder. 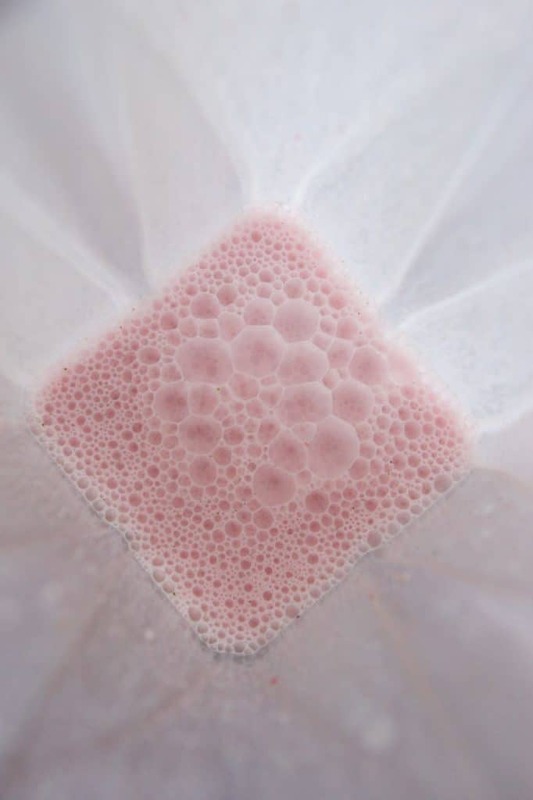 This one is almost like a milk shake, but keep it thin enough so it’s still strawberry milk. 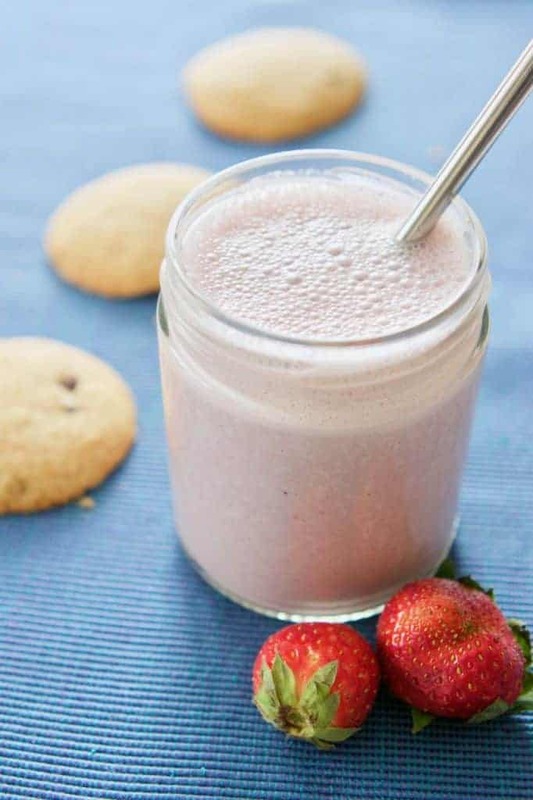 In a blender, add water, hemp seeds, vanilla extract, your sweetener of choice and strawberries. 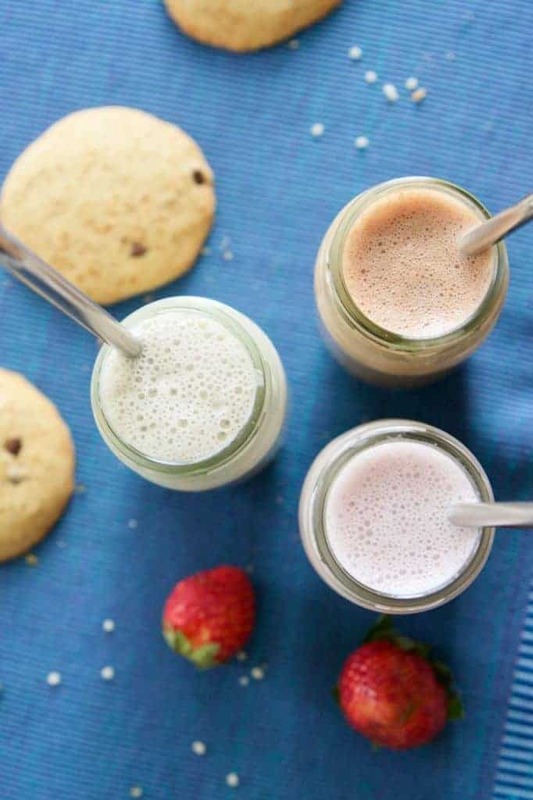 Which homemade hemp milk flavour is your favourite? Vanilla, chocolate or strawberry? Please leave a comment below. Don’t forget to rate the recipe too! 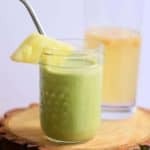 So easy to make and flavour your own hemp milk! In a blender, add water, hemp seeds, sweetener and flavouring ingredients of choice. Blend on high until completely processed and combined. If using medjool dates as the sweetener, use a high-speed blender. For a bigger batch, adjust the number of servings above. Or you could just blend it in water; or you could add in some banana.. Oh! or mango, I heard it blends very well with *coughs* hemp. 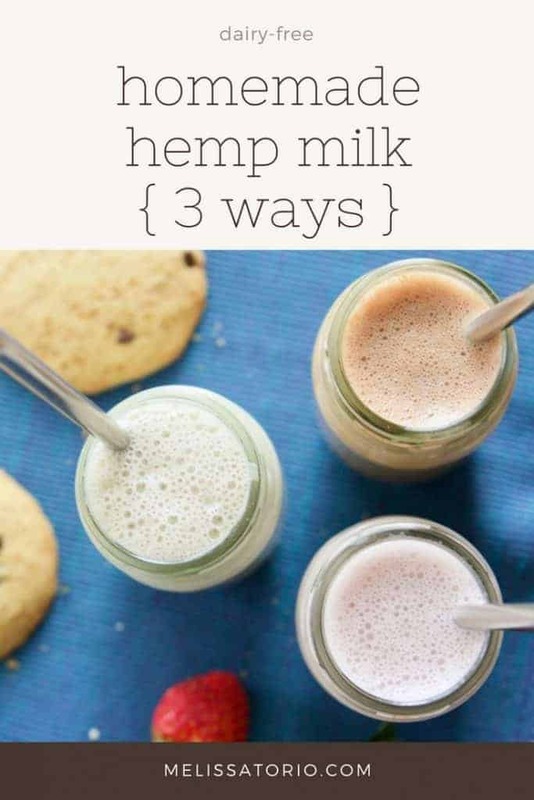 Should’ve just named it “3 Delicious Hemp Milk Recipes” coz I actually was looking for other ways of making the milk apart from blending. Nice recipes regardless. Thanks for your feedback. Mango and banana flavours sound delicious too! I don’t know of any other way to make hemp milk apart from blending. If you find another way, do let me know.